Today I have uploaded video of review and swatches Kiss Beauty Matte Liquid Lipsticks. Pls like the video and subscribe to my channel. I have uploaded a new video on my channel in which I have reviewed Maybelline New York Micellar water. Pl check out the video and subscribe to my channel. Welcome back to my blog. Today I have posted a new video on my channel in which I am creating Lilac Smokey Eye look. Pl check out and subscribe to my channel. Today I have uploaded a video on my you tube channel in which I am comparing Nykaa EyeM Black Kajal and Lotus Ecostay Kajal. Hope you all like at subscribe to my channel. Nykaa is online retail website for cosmetics and skin care products. Nykaa have recently launched there own beauty products range in which they have launched Nail paints, kajal, eyeliners and lipsticks. 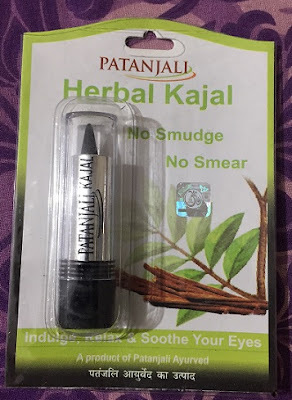 Today I am going to review Nykaa Eyem Black kajal. I have posted a new video on my you tube channel comparing three affordable kajal in market. Hope you like this video and also pls subscribe to my channel.